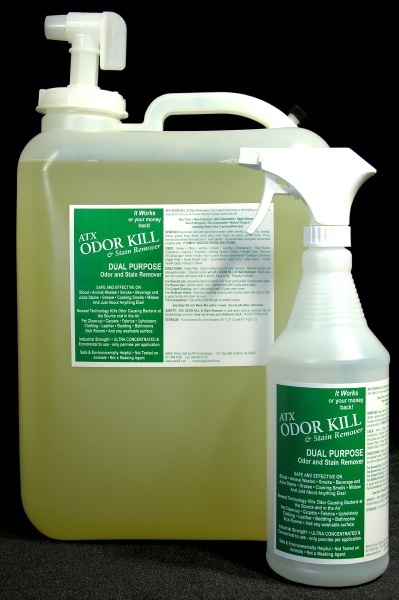 This is a Superior product to remove horrific odors from Animal and Human decomposition,water, carpets, muck, smoke, sewer, sludge, bacteriological contaminants in the water. 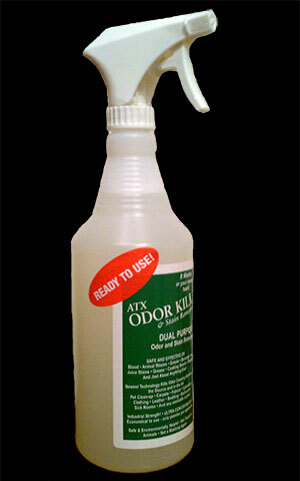 Spray it on and the Odors stop almost immediately. This is not a masking agent. 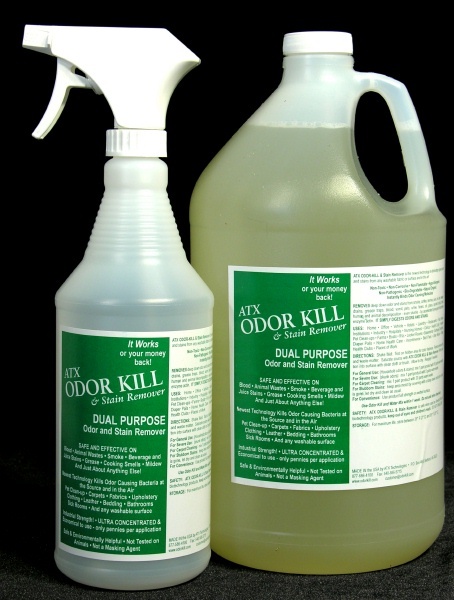 Odor Kill simply digest the odor causing molecules. 1. A fast-acting neutralizer binds with the odor-causing molecules, preventing the molecules from being vaporized and producing odor, providing immediate relief. 2. The real active ingredient kicks in, a proprietary microbial blend of self generating enzymes degrades the odor-causing molecules, destroying / digesting them and converting them into harmless cell components of carbon dioxide and water. 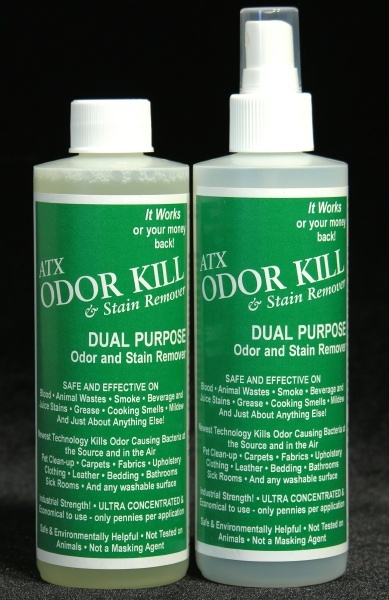 This combined synergistic chemical and enzymatic/microbial effect makes ATX’s ODOR KILL technology mega powerful, yet very safe for humans and animals and super environmentally friendly. We offer free consultations for assistance in mortuary removal and transport, as well as other severe odor removal. It has been used to help flood victims in many USA areas. Economical to use. 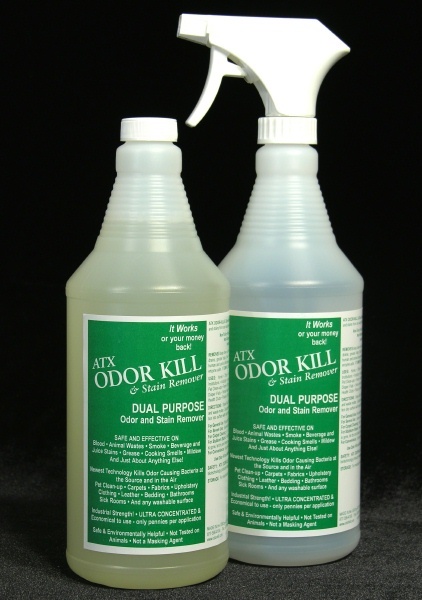 Just mix with clean water and spray it on the odor site. It is not a masking agent. Just follow the directions on the bottle. 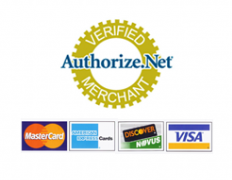 Take 20% off the price for all shipments to Texas, Louisana, Mississippi, Alabama. Buy it Online! or Contact Us Today!! !